And we are back…after a short break to enjoy a longer trip to Walt Disney World and first hand try out some club level lounges and experiences I will tell you this my friend. Once you do it in person, you never want to go out of club level again. I am going to go in-depth and details about my personal experience in the next few weeks so stay tuned. But next on our trip around Club Level is the Yacht Club, located on the backside of Epcot in a wonderful location right on the boardwalk. 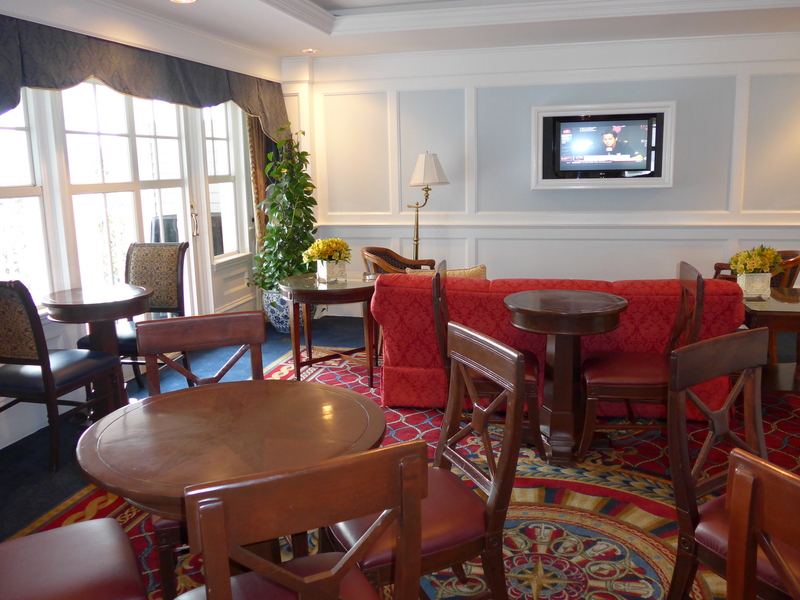 The Club Level lounge at the Yacht Club is located on the 5th floor and named the Regatta Club. There are approximately 70 club level rooms and a few more suites that are club level as well. 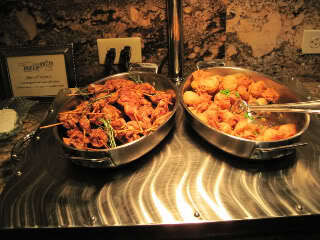 So, let’s get to the important part – the food and drinks! The Regatta Club will not disappoint so save room to get the most of your club level experience or skip a few ADRs (cancel within 24 hours!) to get your money’s worth. Are items like braised beef, Raspberry and Brie En Croute, and chicken skewers with yogurt dipping sauce sounding heavenly about now? Go for it These are a small sampling of what is available as hot appetizers at the Yacht Club Concierge Lounge. Along, with the Regatta Club the concierge level guests receive the same extra care as the other resorts. Preferred check-in and turn down service and a few little extras that make your stay even more magical. This entry was posted in Disney World and tagged Disney Club Level, Disney Concierge Level, Regatta Club, Yacht Club, Yacht Club Concierge Level by Tara. Bookmark the permalink. Every time I write the series and look at the free food and drink I fall in love with club level again and again.